I don't know how it happened but my squidgy little newborn baby turned into a gurgling, smiling 6 month old overnight! Well perhaps not overnight, but it certainly feels like it's gone that fast! Erin has been showing lots of signs of being ready for weaning in the last couple of weeks - for instance I can't eat anything with her on my lap because she tries to make a grab for it! I tried to remember what we did with Elliot in regards to weaning - he's a brilliant eater so I'm hopeful if we follow the same pattern, Erin will follow her big brother. 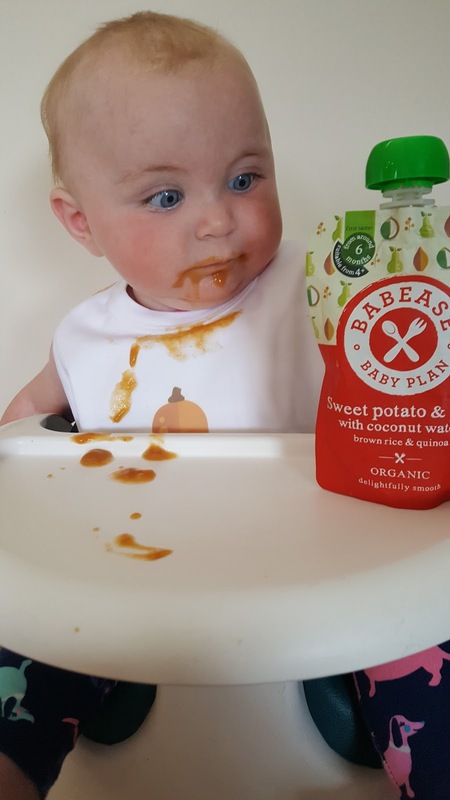 With him we started off with a mixture of purees and abit of finger food and then went fully into baby led weaning. I know people have different ways and ideas of weaning, this worked for us so I'm going to be following the same route this time round too. 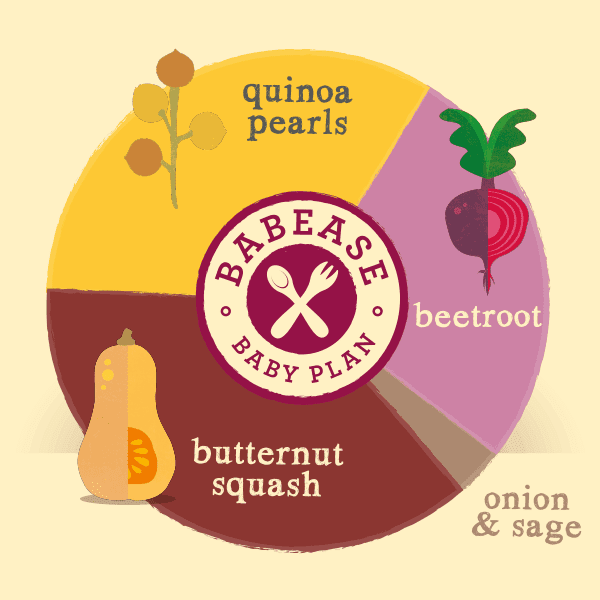 At Babease they understand how important it is for parents to know what goes into food so all ingredients are clearly listed alongside an informative ingredients wheel which shows an exact breakdown. There are two stages of food to choose from - stage 1 is smoother and a perfect introduction to first flavours. 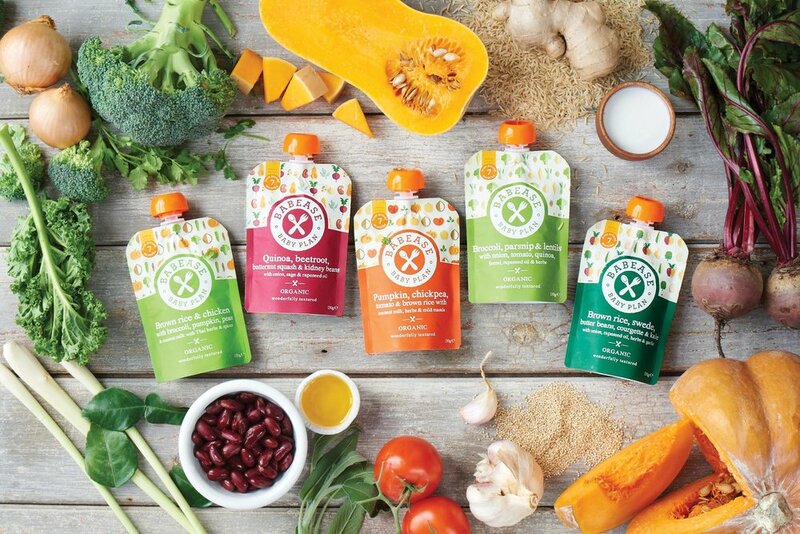 Stage 2 has more texture and a wider range of ingredients to expand your baby's palate. The lovely white Babease bib stayed clean for about 3 seconds! I'm looking forward to testing out the other flavours over the next few days with Erin and I'm sure it won't be long before we can move into stage 2. I also plan on trying out some of the recipes on the Babease website - the savoury mini muffins sound perfect for lunchboxes! my son loves anything!! his favourite has to be strawberries though - his face when he takes his first bite is the best!! !